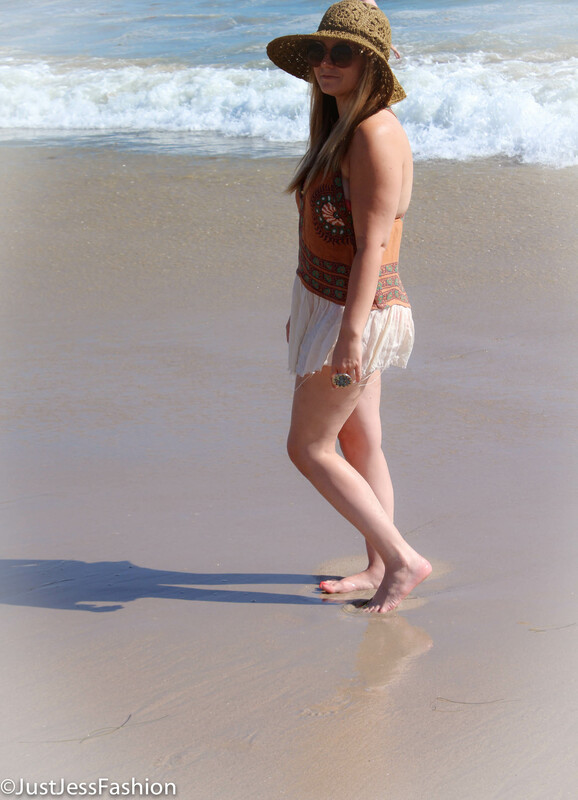 Boho Chic at the Beach | Just Jess Fashion! Yes I am wearing shorts under this! 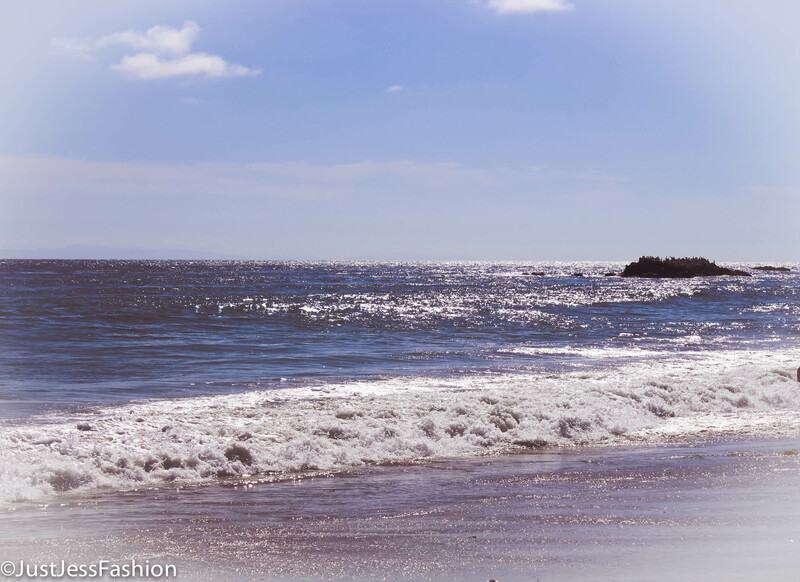 One of my favorite things about So Cal summer is endless afternoons on the beach! And today was one for the books. My boyfriend and I ventured out to Laguna. Not only did we get to spend some time visiting with my grandma, but we got to venture out to some of Laguna’s most notorious seasonal festivities. Some of the best adventures are the ones you didn’t totally plan for. I knew when getting ready for the day I was heading out to Laguna. A part of me was hoping I would end up at the Sawdust Festival, and knowing the free spirit of that area I thought what better outfit to wear than Free People! 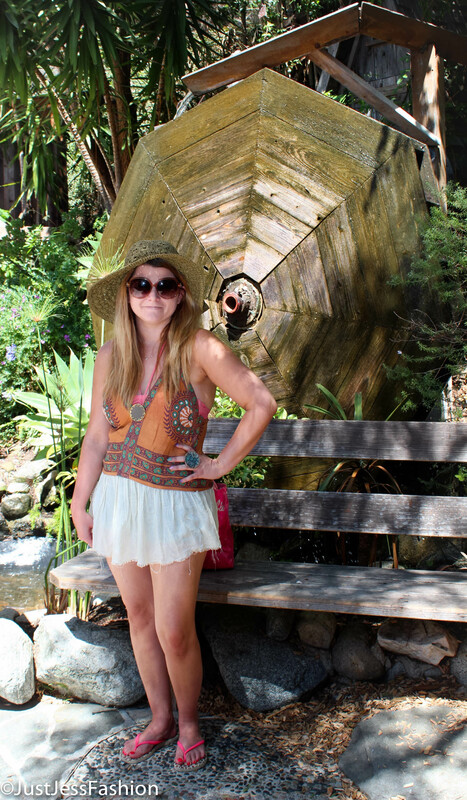 Believe it or not Laguna is home to more than just Lauren Conrad’s in training. The beautiful city that I consider a second home is actually home to quite a large number of very talented artists, crafters and basically just all around creative people. It is the free thinkers that inspired me to exude my best Free People look. Seriously, the designers over at free people deserve an applause. A standing ovation at that. I always feel so comfortable in their pieces and I truly believe I’m able to express what I’m feeling at that moment, and that feeling is not always an attempt to release my inner hippy. Sometimes we take for granted the fact that we live in a free country where we have the luxury of being able to express ourselves through fashion. We are not confined or restricted by religious or political views. I was reminded of this when I came across a breathtaking exhibit at the Pageant of the Masters depicting women confined to burkas. While staring up at these pieces that brought out so many feelings…sadness for the reality of the persecution women face half way around the world. Pride in the strength that exuded from the painting. And a feeling of relief and somewhat guilt and happiness that again my decision to choose what I want to wear on a daily basis is just that. My choice. Sometimes I look back on my fashion decisions and regret them (ahem, blue eyeshadow in high school. Never again.) But at the end of the day I wouldn’t trade my freedom for anything. From fab boots to comfy flip flops. Sometimes comfy can be cute too! I love when outfits are versatile. 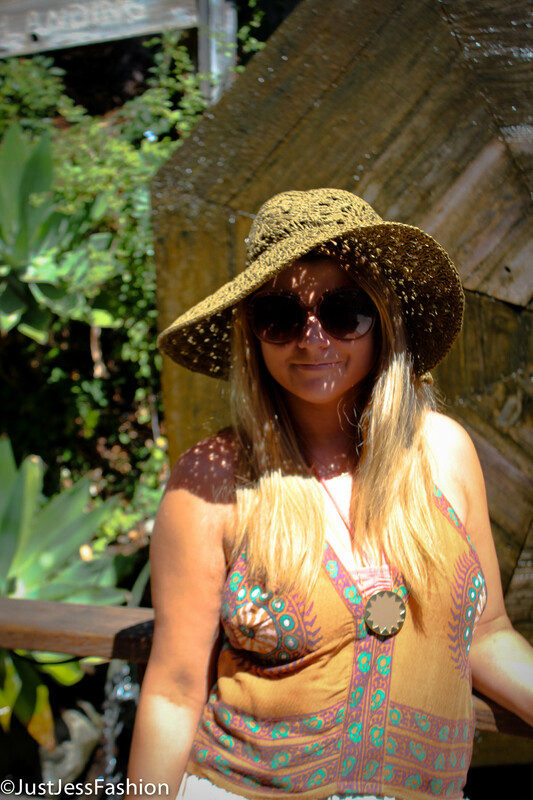 From boho chic to surfer sweet! There is no better…I repeat NO BETTER way to spend a day off than relaxing next to the tranquil sound of waves crashing on the shore. Even if there are hundreds of people on the sand to keep you company. Even serenity loves company. While some people get totes excited about music festivals or movie festivals, I have always adored the Sawdust Festival. For only $8 you get to walk through the imaginations of local Laguna crafters. As a crafter/ photographer/ painter I love walking each vendors mini studio and seeing someones contribution to the art world. For someone who loves one of a kind jewelry pieces I highly recommend you make a trip! Talk to the designers too! Some of them having amazing stories, and if you’re lucky you’ll catch some of them making something magical on the spot. The guy who makes the cool silver hair clips is my favorite. For those who do not believe in the power of a sun hat, be ready to believe! Exhibit A: I survived a day of walking in the sun with nothing more than a darker shade of brown. My face, shoulders and back (this top had nothing more than a V strapped back) only tanned. My boyfriend on the other hand (exhibit b) had no sun hat on, and got completely sun burnt on his face, shoulders and back. He really is my lobster right now. LOL. One life mission semi completed. I have always wanted to go to the Pageant of the Masters, and I finally went today. But lesson learned, the actual “Pageant” per se only happens at night. I don’t know why I always thought this was an ongoing occurrence throughout the day. But I did get to walk the exhibits. So many beautiful pieces of artwork! One of the most mesmerizing exhibits were some miniature sized statues made of clay. Each statue was completed with some sort of pink plastic complimentary beach accessory. I would have taken photographs, but as you can imagine at an art show some exhibits prohibit photography. The paintings depicting women wearing burkas was also impressive. I loved the detail! Burkas are the one piece of clothing that makes me cringe. Something synonymous with belittling women, and forcing them into hiding. Yet the artist depicted the women with muscular arms, are eyes that emitted a feeling of strength. If you have the opportunity to check out this exhibit, tickets are only $4 for students or AAA. Totally worth it!